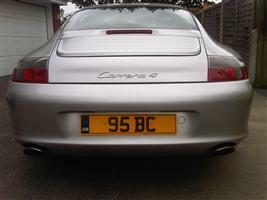 Pictures of registration plates 8 MTH and 9 MTH both on my Mclaren.. They look good! 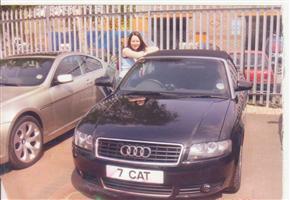 Hello Tracy, Please see pictures below of JEM 15 on the car. Thank you for a swift and and easy transfer. Kind regards Phill. 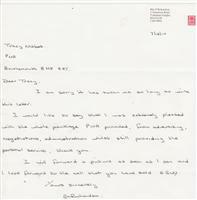 'I wanted to express my gratitude to you for instigating the release to auction of 1410 NR. You went on to advise me about the potential bid I should make and then successfully bid on my behalf to secure the number. The pair of numbers now look superb on ours cars. 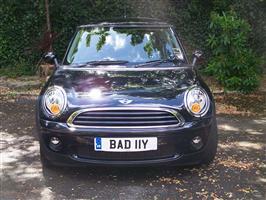 Dear Siobhan and Tracy, Just a personal note to thank you for selling my personalised number plate. From the day when you made the first telephone contact with me you both kept me fully informed of progress on a step by step basis and I was always aware of how the deal was progressing. It was all carried out in a very professional manner. I have to say that from my point of view I found the whole process to be stress free and all so easy and this was no doubt due to all your years of experience in this field. I would have no hesitation whatsoever in recommending your company to anyone. A very very big thank you to you both. A massive thank you to Siobhan for finding a number plate for my son's 21st birthday and having it all ready and transferred for the actual day. 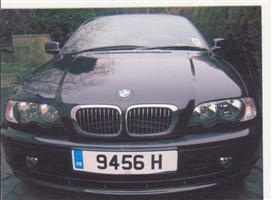 I was very impressed with the superb service yet again, as I purchased another plate from PNA a few years ago. 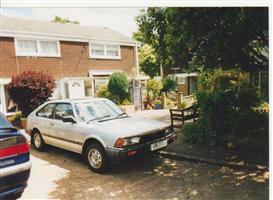 I have always made my cars individual, be it by spot/fog lights, or subsequently improved performance. As I grew older I decided that a personal registration would satisfy me. That was 35 years ago. A Sunday newspaper advertised AK 30 for sale and at a price I could afford. I telephoned the vendors PNA of Bournemouth and the necessary documentation was hand delivered and the transaction completed there and then. Recently I decided to dispose of AK 30 as I had another preferred registration number. Without hesitation I contacted PNA, now dealing with the daughter and not the father as previously. 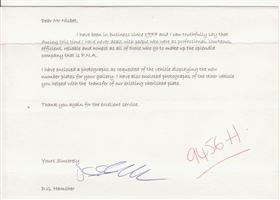 The service was still first class and a sale was achieved with the minimum of fuss. I am impressed and would have no hesitation in recommending PNA to others contemplating a purchase. Thank you. "I found PNA to be very helpful and professional both in acquiring a plate for me and disposing of one for which I no longer had a use. 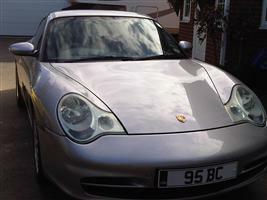 Both transactions were completed in super quick time compared with other plate resellers I have dealt with before. I recently purchased the above number from PNA, my main contact with the company was Sara. From the outset Sara was very professional and efficient, she clearly intended to deal with my requirements as quickly as possible but at no time did she subject me to a ‘hard sell’. She fully explained the market conditions and was very realistic about prices. Throughout the entire process I was kept fully informed of progress, she always promptly returned telephone calls/emails, she clearly is not a ‘nine to five’ employee. Having agreed a purchase Sara dealt with all the documentation making it very easy for me. I would anticipate the vendor of the plate was also very pleased with Sara’s efforts as his retention certificate was due to expire within days of the agreed purchase date. As a result of Sara’s professionalism and efficiency I have placed a number with PNA to be sold on the open market. I have no hesitation in recommending the services of PNA. 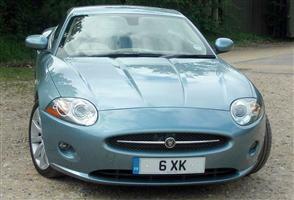 The transaction and the transfer could not have gone smoother a very professional service. 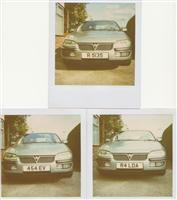 Please find enclosed pictures of my new plates . Just to say many thanks for your help and commitment in the selling of my plate, everything went smoothly and to plan, no contracts to sign just good old fashioned correspondence and honesty and integrity. Best wishes to you both and thanks again, lovely doing business with you. 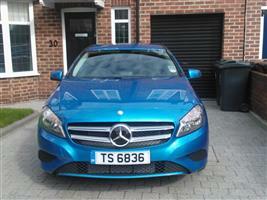 Photo of reg on new car (Mercedes A class) as requested. 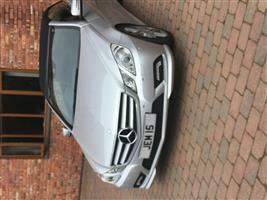 Thank you for all your help in sourcing my private plate and then dealing with the transfer onto my new car. 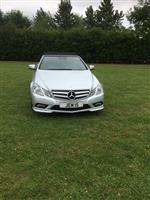 The service you provided was excellent, from securing the plate at the price I wanted to pay to the hassle free and easy transfer to my new car by dealing with Mercedes Benz Corporate sales on my behalf. I will have no hesitation in recommending PNA to others. 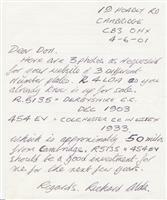 Further to your letter of 31 January, I am writing to thank you for an excellent service in arranging the purchase of the above number for my wife’s car. She is a full time professional dog training instructor, qualified with the Kennel Club, and runs classes each week for up to 150 dogs as well as conducting private home visits and troubleshooting problem animals. 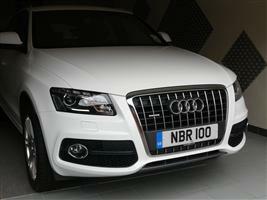 My experience with PNA , through purchase and sale of my private plates , has been professional,personal and efficient. I will to continue using their Service in the future, thanks Tracey and Sara. Thank you ror your letter dated7th Nov. I can confirm that I have received all documentation from Swansea. 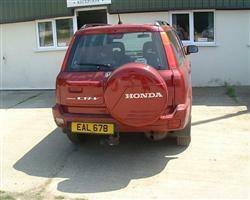 Please find attached a photo of the Reg onthe car as requested. With regards to service I can only say it was a pleasure to deal with you.In partcular the personal touch ie speaking to only two people and they run the company. Thank you again and you never know I may be back for another. Can we both say a massive thank you for all your help and your persistence with our plate. The plate was very special for a number of reasons, and ensuring that we ended up with the plate was goal number 1, and I must say that we were both very impressed with the way in which you kept in contact with us through out the whole thing. In times like these customer service should be of paramount importance but its not, but I can say that you were smashing throughout. There was nothing that you were not prepared to do to ensure that we ended up with the plate, and we both really felt that you have lived thought it with us, the ups and the downs and also shared in the joy. 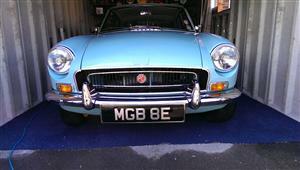 Everyone we have spoken to we have told what a great job you did for us both and have reccomend you and the company. Just wanted to say thank you again, and keep up the good work. I was very impressed with the sevice i received when purchasing my number plate.sarah and tracy were very helpful and kept me informed every step of the way . i found the whole process to be very quick and surprisingly straightforward .i would definately use pna again if i was in the market for another plate and would reccomend them to anyone else. Just a quick message to say thanks and how happy I have been with the service you offer, I will recommend you highly to all. Since you first contacted me about a registration that I had been waiting some 14 years to try and own, the whole process became very simple and speedy. I had no need to attend the DVLA auction in Birmingham as you were attending yourself, this saved me a lot of time, mileage and inconvenience, and being able to hear the auction on the telephone while you made the bid made it all feel more real. the courtesy call 10 minutes before the sale just to make sure I was contactable was a very personal touch and very kind. The paperwork was all sorted out at your end making it all very easy for me, so much to say that I had very little to do at all. At the age of only 18 and when I called and spoke with - Don - I remember his great enthusiasm for my venture, and support in my choice of number, within half an hour he rang to confirm the number was mine, since then we have had several numbers N100NBR on my good ladies vehicle N10NBR etc etc on loan cars. But most recently Sara called me early 2011 and I expressed an interest in a number for my 6-year-old daughter called Amelia – yes I know she’s not got a car yet but ah! What an investment for the future. Sara came back with the number AME114N that was going to auction end of May 2011 – she advised me of the starting price and advised me that she would be attending the auction and would call me a few minutes before bidding started. 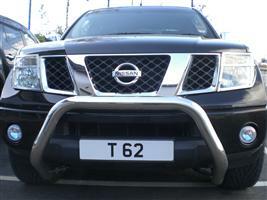 Just to say thank you for selling my plate 292 ATG – you provided a great service. Thanks PNA for organising my personalised registration number. You provided a fast and excellent service all with 4 weeks from my first inquirey, including registration number plates, change of M.O.T and my VSC registration documents at Swansea. I have been in business since 1977 and I can truthfully say that during this time I have never dealt with people who were as professional, courteous, efficient, reliable and honest as all of those who make up the splendid company that is PNA. 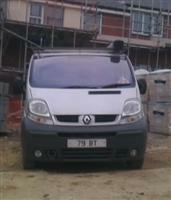 I have enclosed a photograph of the vehicle displaying the new number plates for your gallery. I would like to say that I was extremely pleased with the whole package PNA provided, from advertising, negotiations and administration whilst still providing the personal service, thank you. I will forward a picture as soon as I can. I found the service from PNA to be first class from start to finish. The staff were very friendly and helpful providing me with the support and advice to complete my registration purchase and transfer with as little hassle as possible. Once again many thanks for everything. Best wishes for a great New Year. 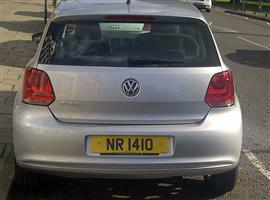 Re retention of registration mark VR 77. Thank you for your experienced help with this matter. I did find dealing with PNA very smooth. I particularly liked your gently persistent sales style. After we first spoke I decided not to use anyone else because you seemed helpful, knowledgable and knew what I was looking for. Additionally, your team were very helpful in getting my plates sorted out. I enclose a picture of the new '700 R' which looks really good on my Vanquish S. I will definatly be back as my collection grows. Further to your letter, please see photo for both your gallery and your website. 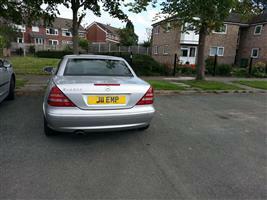 I apologise for the delay but have now attatched a photo of my car with its new registration number. My comment regarding PNA's service, is as follows- PNA helped to me become a happy CAT! 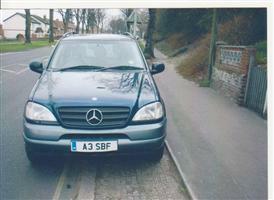 Here are 3 photos for your website of 3 different number plates- R4 LDA, R 5135, 454 EV. R 5135 and 454 EV should be very good invesrments for me for the next few years. 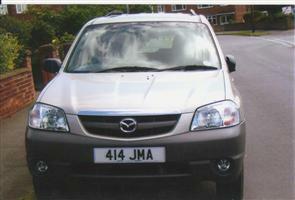 Please find enclosed colour photo of my vehicle displaying new number plate 414 JMA. I would just like to say it was a pleasure doing business with the PNA. Your lady or should I say you right hand lady was so helpful, and I mean helpful all the way. There was no hassle, everything was carried out so smoothly. Just a line to say thank you very much for a smooth and trouble free transfer for the above number. The process was efficiantly executed and the overall service was friendly, and I would not hesitate to recommend PNA to any of my friends and colleagues who might be in the market for a personalised plate. The service you offered was exactly as you had promised - simple, quick, professional and at the right price... Only trouble now is that my better half has told me she wants one too... I'll be in touch! I would like to thank you all for the great work done during tranfer of registration and retention of my old plate. 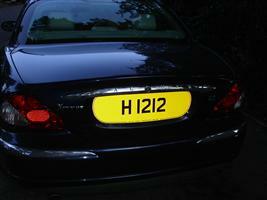 I have attached photos of the plates now fitted to my car which you may use for your web site if you want. Thanks again for the efficient service. "As a buyer, I found PNA to be VERY tenacious. They worked extremely quickly to secure our purchase. Sincere thanks." 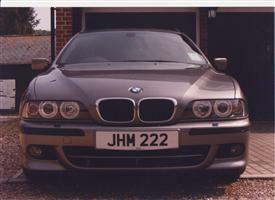 I am more than happy for my car and plate to be on your web site. I will get a better pic when I am next in Spain but for now please see attached. has gone through far more quickly than I expected. 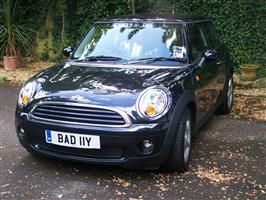 As promised, please find attached photo of the plate on my new car. Once again many thanks for your friendly and helpful service and feel free to use the photo and my comments for publicity if you wish. Many thanks for confirmation that everything has gone through ok with regards to the transfer. Actually received V5 document in post yesterday. 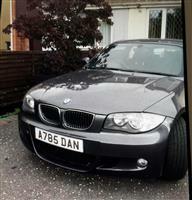 Have put the new plates on the car and will take a photo and send it through once the car has been cleaned. Spent the day travelling back from Cornwall in the rain last Friday so the car is pretty dirty. Just a quick note and a couple of photos attached to say a huge thank you for all your efforts to resolve the transfer problems associated with 72 TS. Through no fault of your own or PNA the transfer didn’t go as smoothly as we would have liked but what has impressed me massively is the dogged determination you have shown to resolve the issue and equally importantly the regular feedback you have given me along the way until you managed to resolve all issues and the number was finally transferred on to my wife’s car. If it hadn’t of been for your personal input I would have cancelled the deal a long time ago. May I say, I think you, Sara are a fantastic ambassador for your company and that Tracy Nisbet is very lucky to have such a dedicated staff member working for her! I work in a high luxury sector customer orientated industry and strive to provide my customers the very best service at all times and the one common theme from all the feedback that my business generates is that keeping your clients informed is paramount to customer satisfaction – because of you my wife and I are very satisfied customers of PNA. I would like to thank you for the efficient service that you provided. 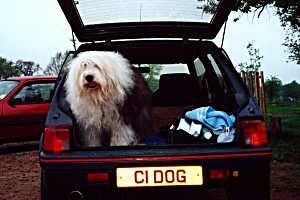 A big wooffee thank you from Harvey for his personalised plate C1 DOG and also to the courteous and efficient staff at PNA.